Monari always surprises us with their creative design and this little cardigan is a good example of taking a simple cover up and making it something special. 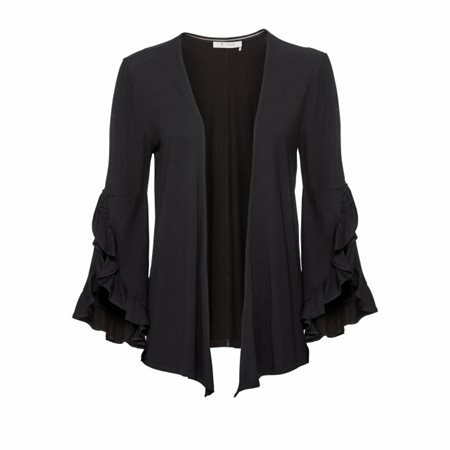 The frilled sleeves on this cardigan are gorgeous, they make a real statement. The cardigan is edge to edge with subtle silver stitching on the sides.